Messages in iCloud feature has started rolling out to iPhone users as part of this week’s iOS 11.4 release. However, with this new feature, Apple hasn’t clarified a lot. With so many things to handle like how it works, saving messages etc. it can be a daunting task for the users to find their way through it. If you are one of the users who has already received the update, and you want to know how to explore Messages in iCloud, we recommend that you read ahead. With the beta cycle of the iOS 11.4, many users reported that Apple was flashing a screen for the users to opt-in to Messages in iCloud. Although, with the official release of the iOS 11.4 reports have come up that the feature is already activated in many devices. 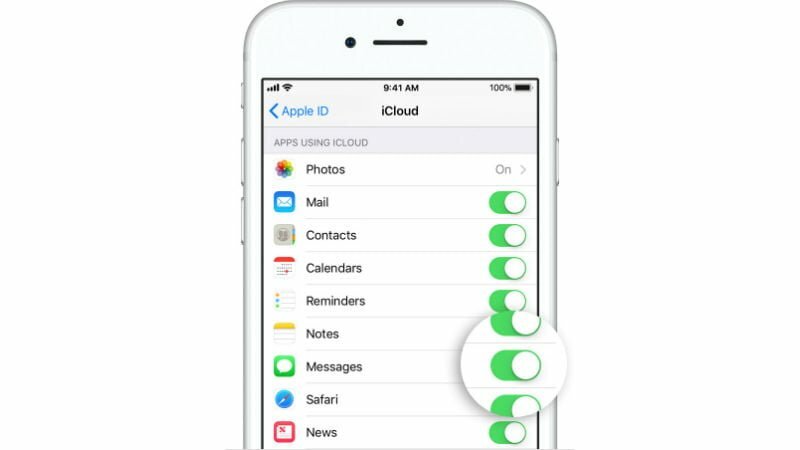 To turn on Messages in iCloud users will simply have to follow the steps noted down below. Update your iPhone, iPad or iPod Touch to iOS 11.4 or later. If disabled, users will also have to enable Two-factor authentication. Now on the screen, Tap on your name or on the ‘Sign in to iCloud’ button. Check that the Messages button is toggled on. The Messages in iCloud feature works like modern mail across all iOS devices. For instance, users won’t have to delete a thread on their iPhones and iPods separately when they use the Messages in the iCloud feature. This functionality will sync the message threads across all devices. This also means that now iOS users won’t have to worry about obtaining their previous messages on their new devices. Using the iCloud, iOS will be able to retrieve the old messages from the previous device and show it in a similar manner on the new device as well. However, now users will have to be cautious while deleting important messages since the message will be gone from all the devices once the user deletes it. To avoid loss, Apple has included a prompt which appears while the user tries to delete the entire conversation. Such a prompt doesn’t come up for individual messages. Although Apple doesn’t charge an upfront fee from its users for using Messages in iCloud however, the iCloud storage only offers 5GB of free space to its users. Meaning that if iOS users use Messages for sending large files, media, images etc. it’s expected that the 5GB of storage will not last long. If users do not actively delete the older messages, attachments from their iCloud, they will exceed the 5GB limit, and then they will have to opt for more storage plans which Apple offers at the following prices for users in India. There are also international plans for extending the iCloud storage. Users will also be able to use their iCloud storage for storing iCloud backups, iCloud Photo Library, iCloud Drive, and other purposes beyond Messages in iCloud when they pay for the service. Although, the iCloud works with all the devices which actively run iOS 11.4 there are some exceptions where the Messages in iCloud feature won’t work. In the macOS, the Messages in iCloud feature will ship with the latest public release of macOS 10.13.5 which presently is in the developer and beta phase. Also, Apple watch currently doesn’t support the Messages in iCloud feature. On the website, iCloud.com users won’t be able to access the Messages since the iCloud avails Messages on devices and don’t give access to them on the web portal. iMessage is without any doubt the best in class. Almost 30% of my contacts are now on iMessage. iMessage is one of the reason why I am sticking with Apple. Looking forward to Google RCS which would solve messaging issues in Android. Features like these makes iOS devices good n sets them apart from android devices. Waiting for iOS 12 now. Good thing iOS is all devices gets the update unlike android where even after launching android P no device will get final version post Q3 2018. Only pixels gets timely updates of OS.